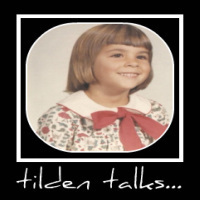 tilden talks...: New York City Condos - A Dream Come True? I day dream a lot. In fact, I daydream most of the time. While I'm busy at work or busy at home and when I am not at all busy, I daydream. My most favorite daydream is that I am a stunning fashionista living in a spectacular condo in the Big Apple and I have hit the big time! In reality, I have only been to New York once. We spent the day and into the evening touring the sights and experiencing some of what the city has to offer. Since then I've been hooked on the idea of living the ultimate New York lifestyle. While hanging out in the city that day I noticed that real New York City condos are in the heart of the real places that I daydream about. Neighborhoods all over Manhattan are chock filled with condos. Small, large, quirky, classic, you name it there's a condo in New York I can daydream about. Today, I see myself wearing a vintage Chanel wool suit and a pair of suede pumps, with a black quilted handbag. Of course I have a stunning pair of gloves and a smart pillbox hat. I'm on my way to pick out some new china and flatware for a small, yet intimate dinner I'm planning in my superb new condo. Naturally I am the vision of loveliness. Shall I send you an invitation? I loved living in Boston brownstones. So much to do, and you didn't ever need a car to do it. As for now, I daydream about island living some where. Tropical? Yes. Hawaii? Maybe. Heck. I'd even do Prince Edward Isl. if I didn't have to go out in the snow. I'll go too, but I won't be fancy either. My reality is I'm a country girl. No fantasy about it. Blue jeans, cool looking (girly) comfy sweater, heels on my boots ( not stillitto's tho), and hat on my head...blue jean jacket with a heavy liner inside, to keep me warm, and a good pair of leather gloves. I'm there, just send me the invite....I'm certain together we'd all make some kind of statement.